Seth Rogen is a Canadian actor, comedian and filmmaker. 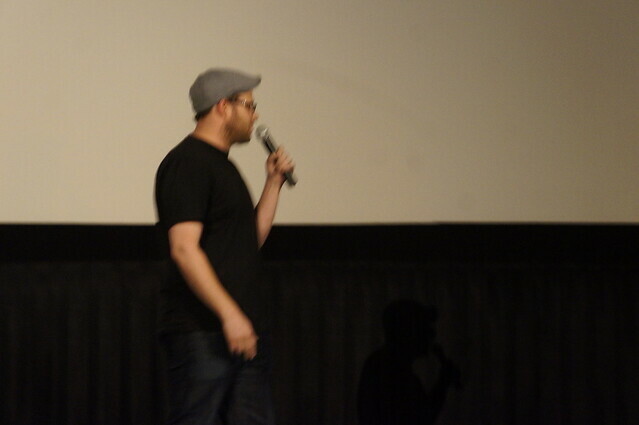 Rogen began his career performing stand-up comedy during his teenage years, winning the Vancouver Amateur Comedy Contest in 1998. While still living in his native Vancouver, he landed a supporting role in the television series Freaks and Geeks. Shortly after Rogen moved to Los Angeles for his role, Freaks and Geeks was officially cancelled after one season due to low viewership. Rogen later got a part on the equally short-lived TV sitcom Undeclared, which also hired him as a staff writer. Seth Rogen is a fictional character from the 2013 film The End of the World. This is the End, Neighbors, Dirty Randy! Closeup of Seth Rogen at tiff (Toronto film festival) signing an autograph. See also the blanagrams of Seth Rogen! Go to the usage examples of Seth Rogen to see it in context!